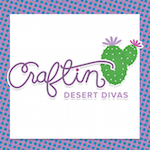 Craftin Desert Divas Blog: Hugs! Hello Everyone!! 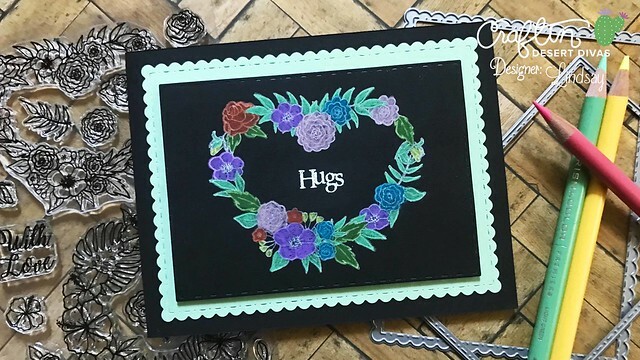 It's Lindsay from the DT here with you today, sharing a card made with the brand new Floral Wreaths Stamp Set!! This past release was filled with some amazing stamps, dies, and sequins but I have to say that this stamp set is my absolute favorite (and the treat bag die of course). 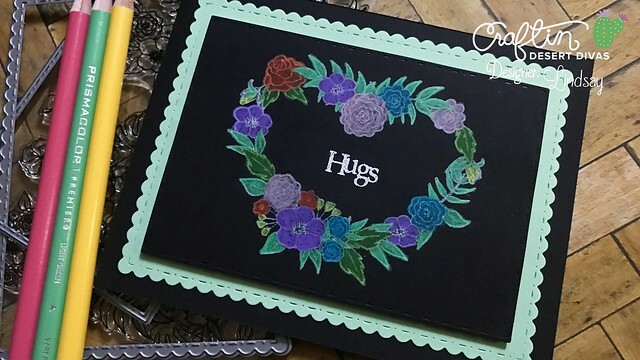 Today, I have a card to share with you, using this stamp set and stamping on black card stock and creating a no line coloring look, without all the work!! Be sure to watch the video tutorial below for all the details!! Starting with the Fancy Frame die set, I die cut the larger stitched rectangle from black card stock and also the larger scalloped rectangle from a mint blue card stock. Using white pigment ink, and my stamp positioner, I stamped the heart wreath in the center of the panel. I know white pigment ink is a bit messy to work with, but in this case it is the best ink for the job! Before moving onto coloring I heat set the white ink really well so I wouldn't get any smearing. For my coloring I chose to use my Prismacolor Colored Pencils in very light and pastel colors. The lighter pastel colors will show up better on the dark black card stock. To achieve the no line coloring look all I did was simply use a very sharp pencil to first outline on the white pigment stamped lines and then color in the rest of the image. On the images with stamped lines in the center of the images I just colored over those as well. This gives the images stamped lines a darker appearance than the rest of the coloring, but a more blended look, which results in a no line coloring look without all the work! Before stamping my sentiment, I first heat set my wreath to make sure all the ink was good and dry. 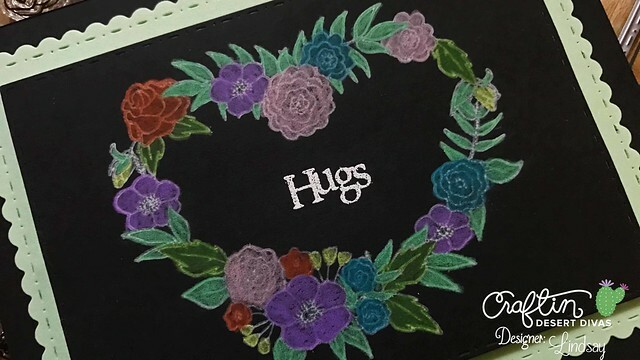 Then, using the Simply Said Stamp Set, I stamped "Hugs" in the center of the wreath in Versamark ink and then heat embossed in white. Finally, I popped the colored wreath panel up on the mint green die cut with fun foam and double sided adhesive and then secured both panels onto an A2 top folding card base made from more black card stock. Figuring out this technique was kind of a happy accident, but I am so happy I did! I hope you will give it a try as well, because it gives such a unique and fun result. 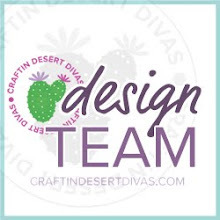 If you are interested in any of the CDD products I used on this card today, you will find them all linked up below! Until next time, Happy Crafting! !